Hi all! I'm back with a card for My Favorite Thing February Release Countdown Day 1. The release is so close! 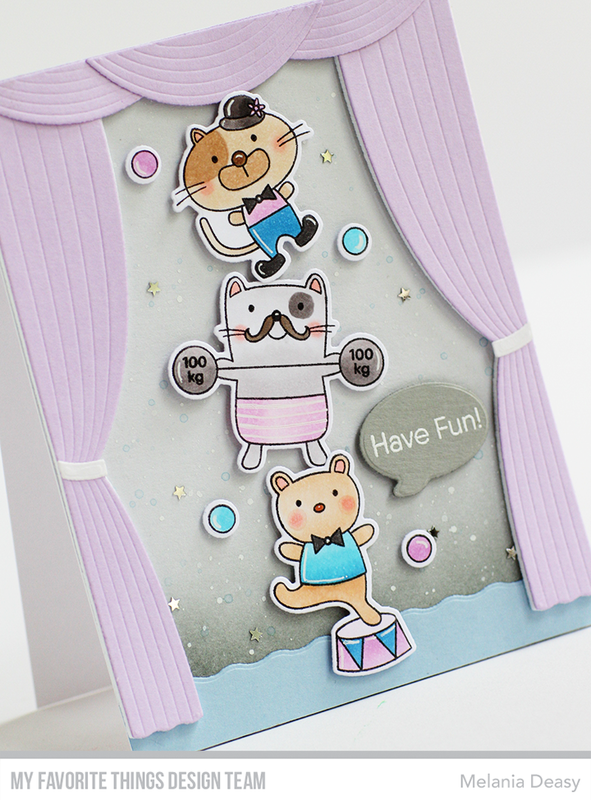 For my card today, I play with dies and stamp to make a fun card! I stamp the images, color it using copic then die cut it. The sentiment is from white embossing powder. Melania, this is the sweetest! Love your stage curtains too! 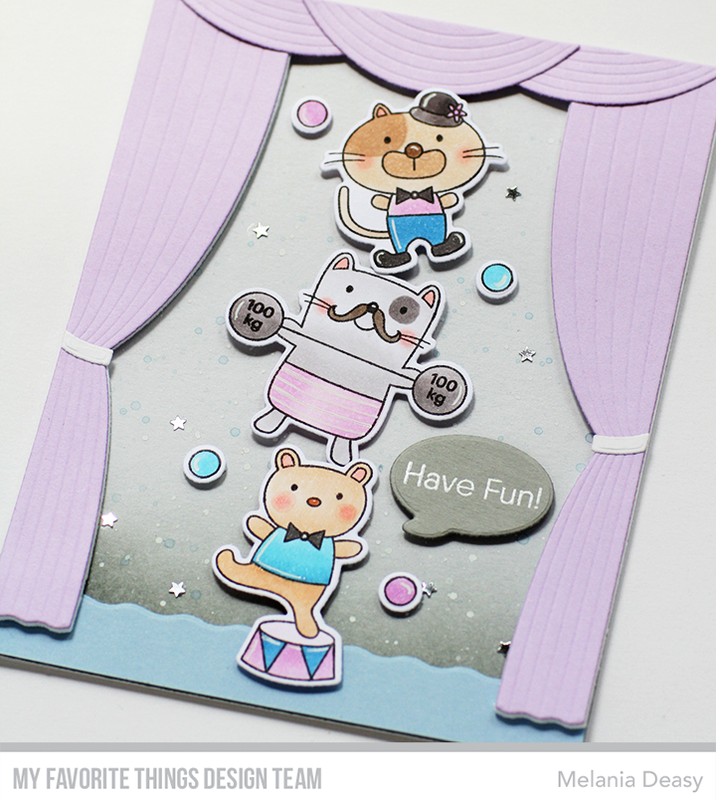 Such a fun card and the stage dies are just perfect for setting the scene. Fantastic card and love the color scheme! Such a cute little card. Melania, your cards are always so wonderful! I love your design with the curtains and the stage and your colors, beautiful. Love the addition of the curtains. Great idea! tu excelles dans les cartes enfantines, c'est complètement craquant et adorable cette scène! I agree, this is super fun and cute! Love the soft colors, too. What a gorgeous curtain to show off the talented balancing animals!